Fortune 500 corporations always have a unique challenge when sending out holiday greetings. Your audience is international with varied cultural traditions. How do you appeal to your local demographic while being accessible to a wider audience? 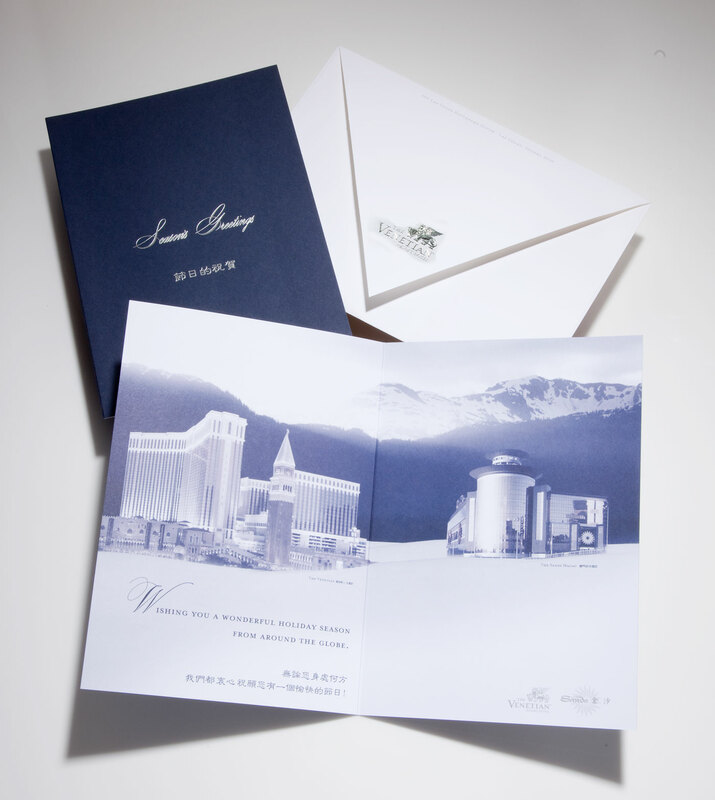 Rather then settle for something usual, The Venetian Las Vegas Resort leadership chose a design that illustrated The Venetian Las Vegas and Sands Macao nestled within a snowscape as their annual holiday card. With specialty paper, a custom envelope design and detailed photoshop and perspective work, the holiday card was artistic and appealing communicating the feelings of the season.